When are ceramic filters the best-available technology? When the only air emissions task is particulate removal, Tri-Mer’s standard Non-Ceramic Catalyst Filter operates up to 1650°F. This is a significantly higher threshold than is workable for fabric filters. Where temperatures consistently are below 400°F, and there are no temperature excursions or hot materials to pose a bag fire hazard, the more advanced fabric filters can be a more cost-efficient option than ceramic filters. When neither fabric nor ceramics have a clear-cut advantage, ceramic filters are often selected due to their long element life, and overall system track record. Where applications require NOx reduction, fabric filters are not applicable at all, and Ceramic Filter Systems – either Catalytic or Non-Catalytic – are the obvious choice. Ceramic filters are also replacing electrostatic precipitators (ESPs) for applications requiring very low PM levels, particularly where inlet loads are heavy, or there are significant concentrations of PM2.5 and submicron PM1.0 particulate. Notably, catalytic filters accommodate much higher inlet loadings, and are not limited by the selective removal constraints of ESPs. They also pose fewer corrosion concerns, have lower maintenance requirements and consume less energy. Removal of acid gases such as SOx and HCl are interesting cases. The filter cake that forms on the filter surface, which heightens exposure to acid gases, also minimizes the sorbent consumed, and increases removal efficiencies. The ceramic filter surface provides a more stable surface for the cake than fabric filters. The advantage of the ceramic filters is greatly magnified by the exclusive Tri-Mer Sorbent-Saver technology. As part of a Ceramic Catalyst Filter System, dry sorbent injection has both lower initial cost and lower operating cost than a spray dryer plus ESP, while providing very high removal efficiencies for SO2. ESPs are not appropriate for dioxin or NOx reduction of course, so a second device (with temperature addition for many applications) would be required. In contrast, Ceramic Catalyst Filter Systems handle NOx and all other major pollutants in a single system, across a wider temperature range – including lower temperatures – than traditional SCR. 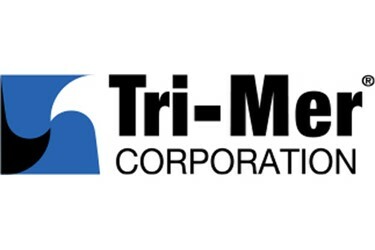 The Tri-Mer system is the first choice for multi-pollutant control.